The ShatterPro Acoustic Glassbreak Sensors are the latest breakthrough in an advanced series of acoustic glassbreak sensors from Interlogix®. In independent lab tests, they provide 25% better false alarm immunity than industry leading glassbreak sensors. 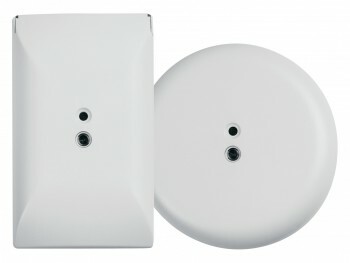 * The coverage pattern can be easily adjusted to fit small or large rooms. Interference outside the range will not cause false alarms.